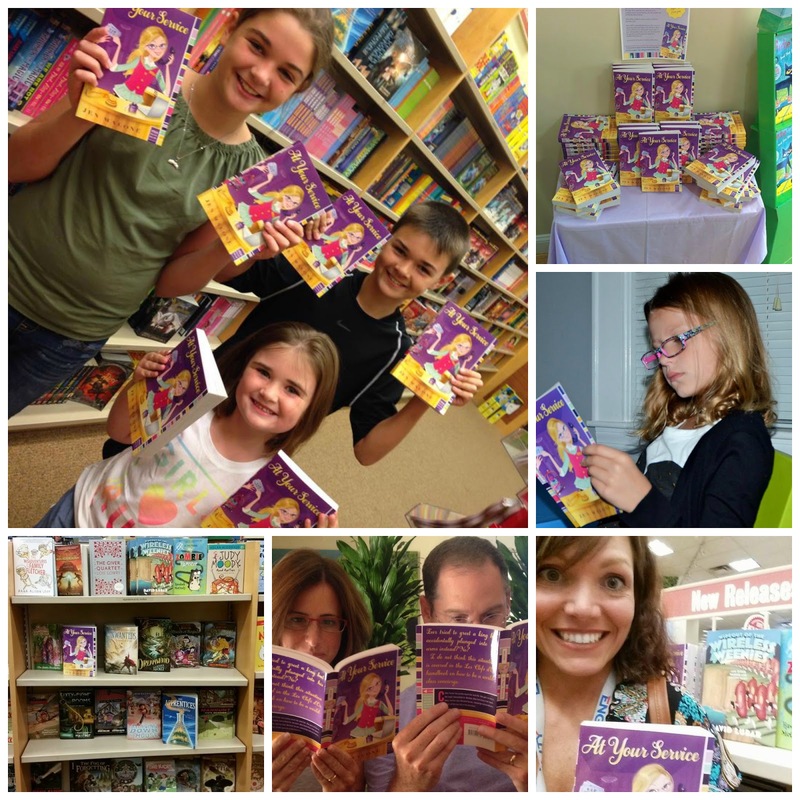 On Tuesday, At Your Service arrived on shelves and as friends and strangers tweeted and posted on Facebook and emailed me pictures, every single rejection letter, seemingly-impossible edit note, and self-doubt flew right out the window because KIDS (real, actual, breathing, laughing kids) were reading my book. And apparently, so was my sister's dog. I’m hoping that whole “a picture tells a thousand words” saying is true because I can only come up with one tiny word today: gratitude. 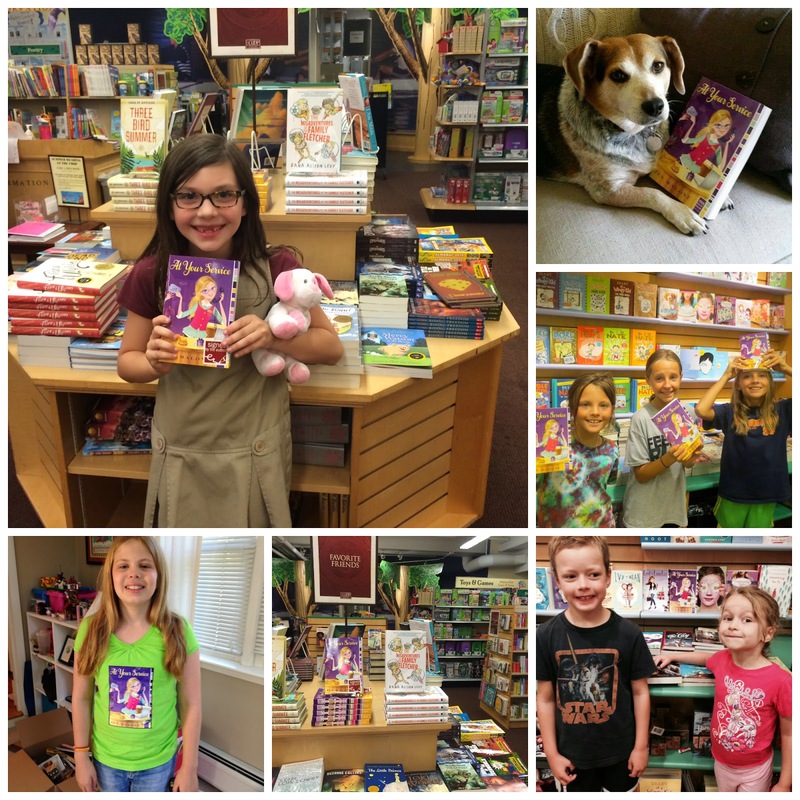 Your sister's dog is cute, but I really love the smiling faces of your readers!